As the eternal garbage fire of 2016 sails, Viking-like, away from us once and for all, the need for constant distraction from the world’s condition remains as pressing as ever. Luckily, Hulu has released its schedule of January releases, the better to keep our latest New Year’s resolution (“Spend a couple minutes a day not screaming about everything that’s going wrong”) intact. The service is offering up the usual mix of pleasantly distracting season and series premieres, including The Bachelor, Scandal, and newcomers like Fox’s The Mick and NBC’s bizarre-looking Wizard Of Oz project, Emerald City. 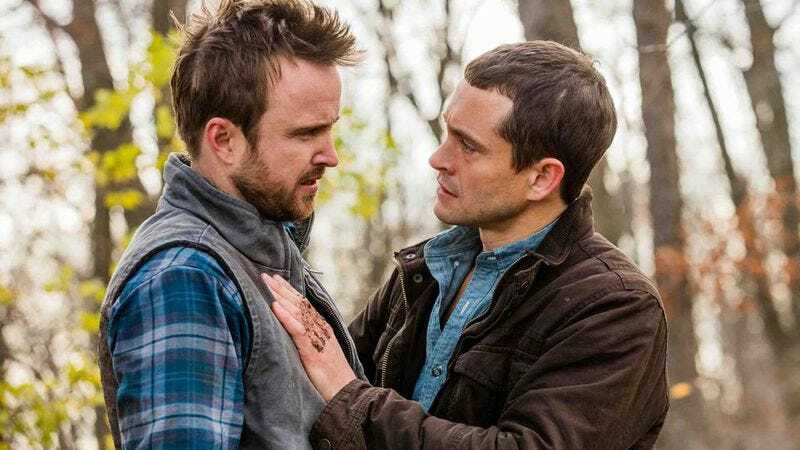 January also marks the return of Hulu Original The Path, featuring more cultish soul-searching from Aaron Paul, Hugh Dancy, and Michelle Monaghan. Over on the movie front, the pickings are a little more slim, although all four Lethal Weapons, and the latter two Beverly Hills Cop movies, are on hand to sate your cravings for smart-mouthed cops, while both Hostel films are there for those who want to revel in fictional depravity for a change. If you’re looking for some real torture, though, the service is also offering up Norm Of The North, number 2 on our list of the year’s worst films. Is it as “tedious, witless, and pointless” as we claimed? There’s only one, presumably unpleasant, way to find out! You can see the full list of titles coming to and departing from Hulu next month below. Entries with (*Showtime) next to them require a Showtime package.